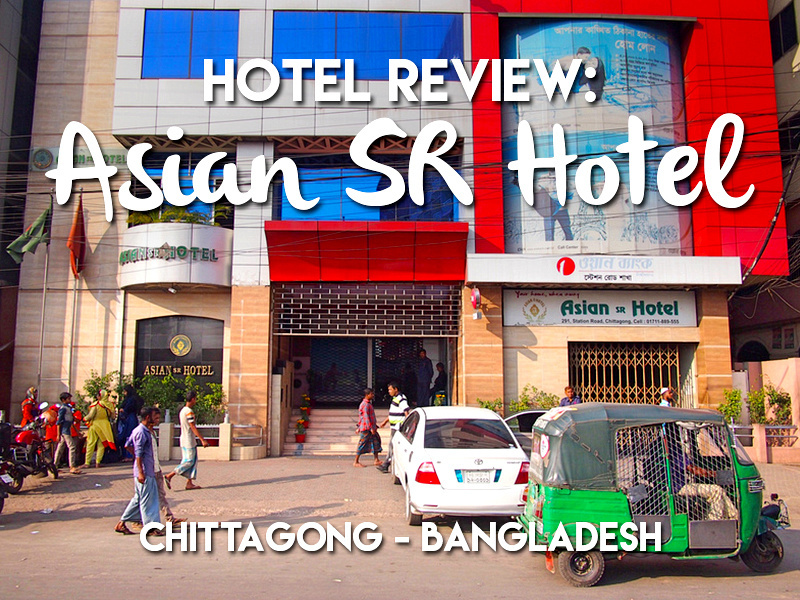 I stayed at Asian SR Hotel in Chittagong, Bangladesh. Originally I had booked another hotel, but when I arrived I found out there was no wifi so they let me cancel the booking. There are a row of hotels on Station Road, so I just walked to the next available one which was this one. 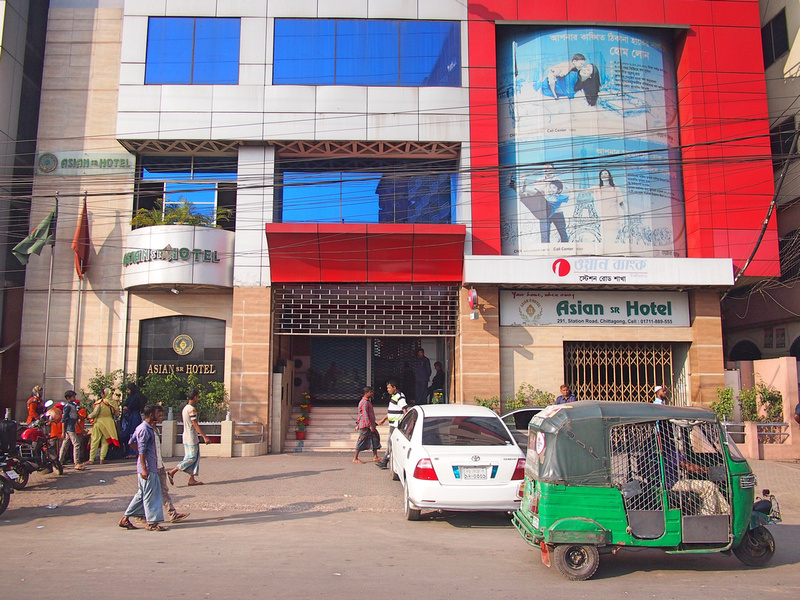 The rate per night was 1725 Bangladeshi Taka ($20.80 USD). The hotel is in a modern tower not far from the main train station. I got a double room with private bathroom. My room didn’t have a window, which is not my ideal room situation. After a long day of travel I couldn’t be bothered looking for another room so I sucked it up. 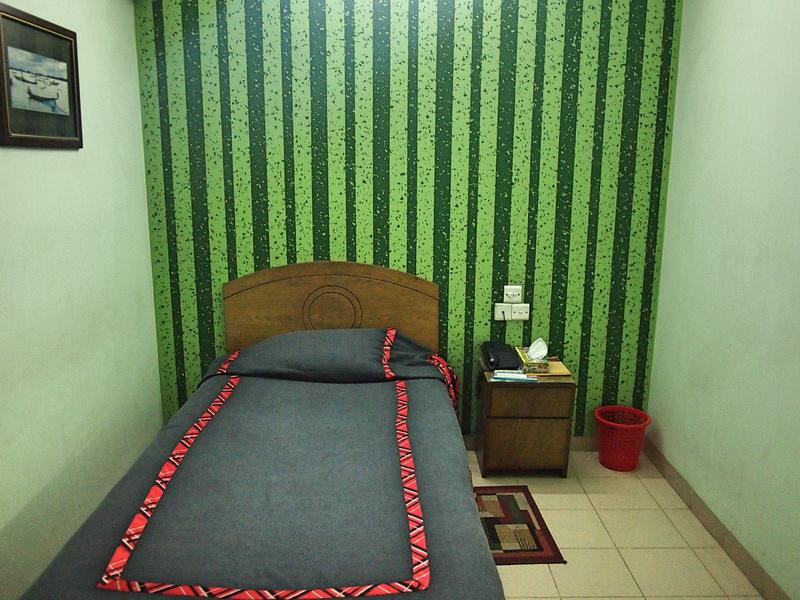 The watermelon wallpaper was a bit jarring to the eyes, but the bed was comfortable enough. 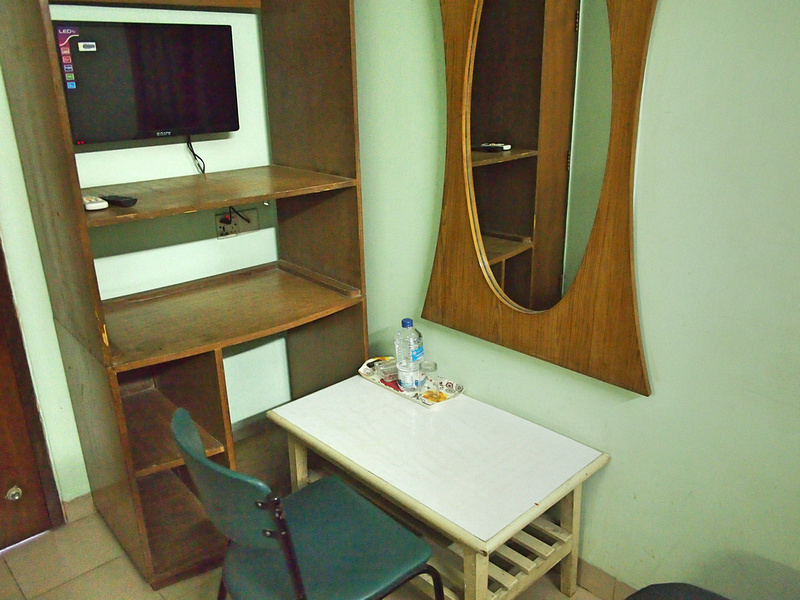 The room had a little desk and shelving, though no place to hang clothes. 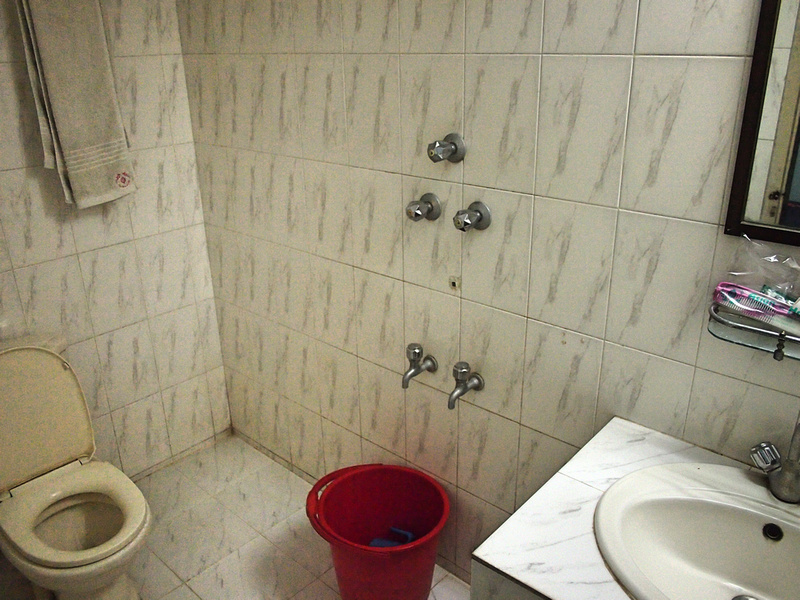 The bathroom shower was a bucket shower, which you still encounter in travels across Asia. It had hot water at least, and the room was clean and tidy. 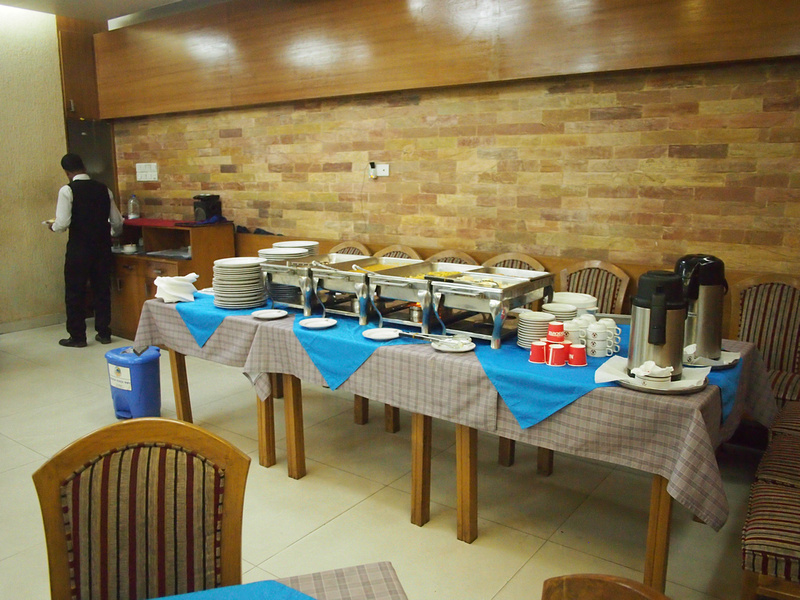 There is a breakfast service next to the reception area. 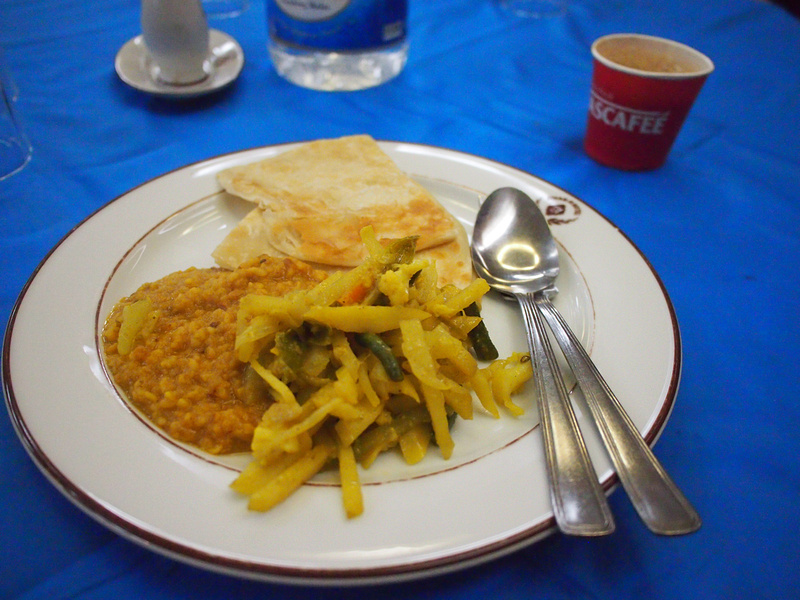 Breakfast is a Bangladeshi style meal of 2 curries and paratha bread (and tea). There is free wifi throughout the hotel (which was why I moved here) and I had no problem connecting in my room. Overall this was an ok place to stay. I probably could have done better by finding a room with a window, but it wasn’t bad enough to move. 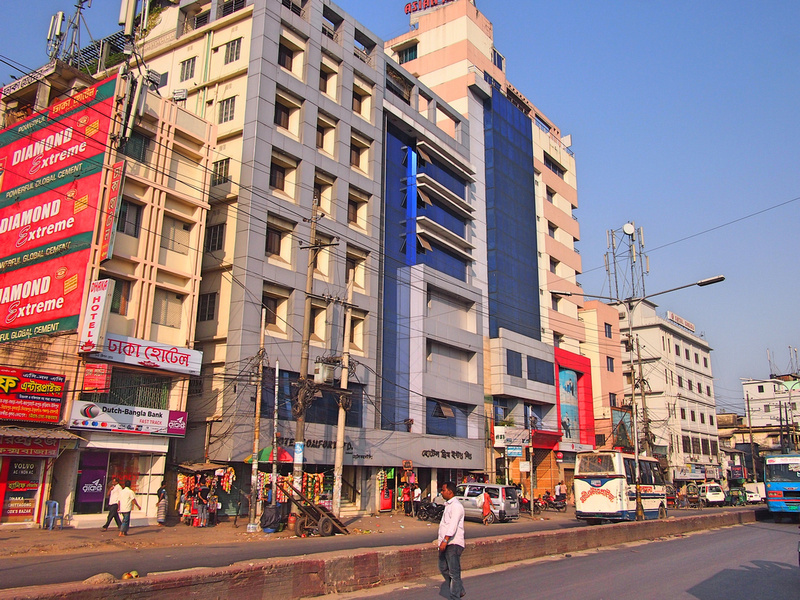 Book the Asian SR Hotel online or search for more hotels in Chittagong.